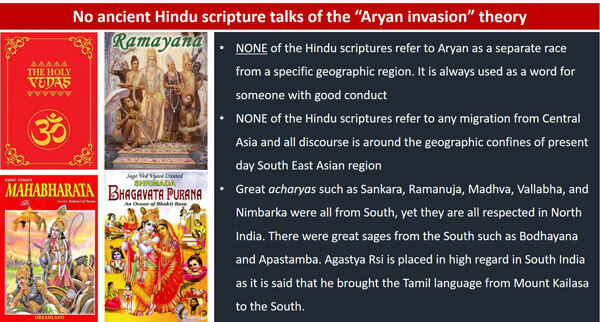 The Aryan invasion theory is taught to all Indians as gospel truth right from childhood. All of us grew up assuming it was scientific and unquestionable. 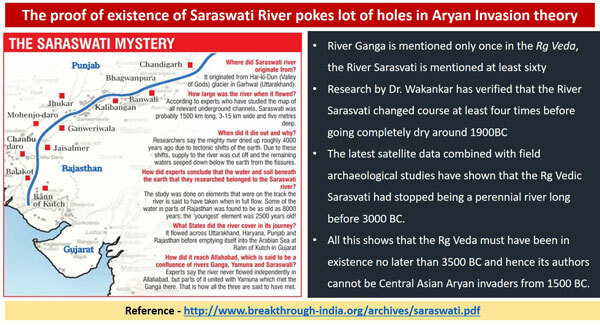 this theory lead to obvious North-South divide in India and subsequent Dravidian politics that fueled dissent and conversions. 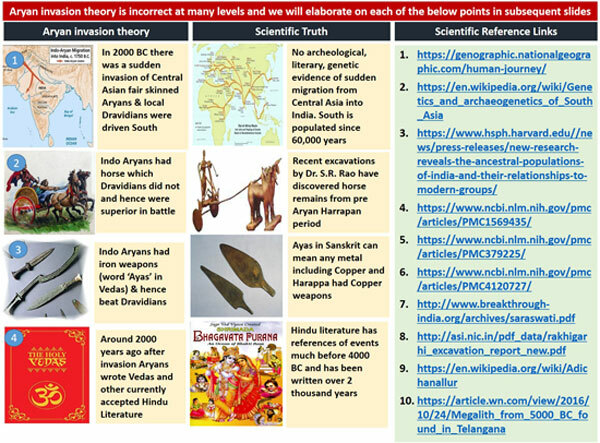 The unfortunate truth is that theory is neither true nor scientific. 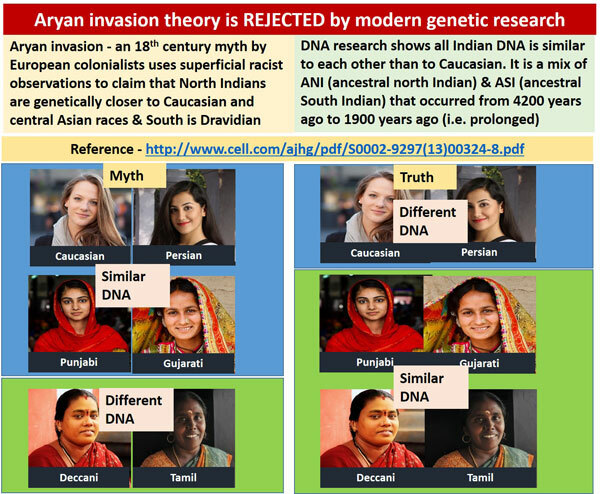 It was mostly a figment of imagination of European colonialists who wanted to somehow establish their genetic superiority and drill into Indian social fault liens to further their agenda. This lie has been exposed by fresh Genetic research conducted by the The American Society of Human Genetics. 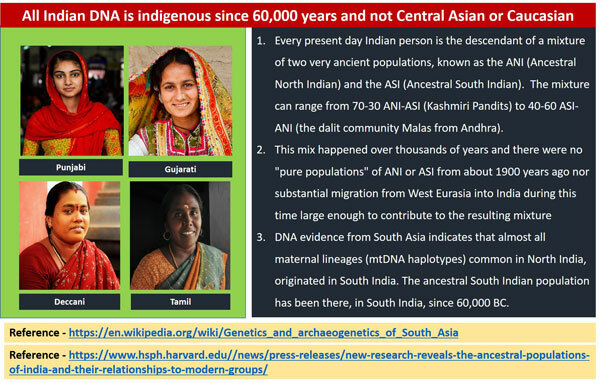 The research, ‘Shared and Unique Components of Human Population Structure and Genome-Wide Signals of Positive Selection in South Asia’ is conducted by a team of 15 scientists including four highly ranked Indian scientists. The findings of a three-year has been published by American Journal of Human Genetics in its issue dated December 9 2011. 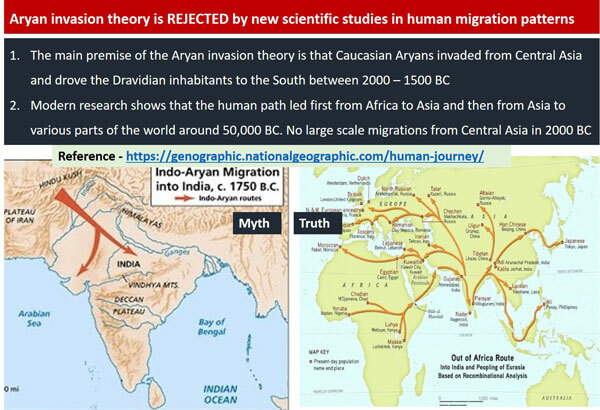 The study effectively puts to rest the argument that south Indians are Dravidians and were driven to the peninsula by Aryans who invaded North India,” said Prof Singh, a molecular biologist and former chief of Centre for Cellular and Molecular Biology, Hyderabad. 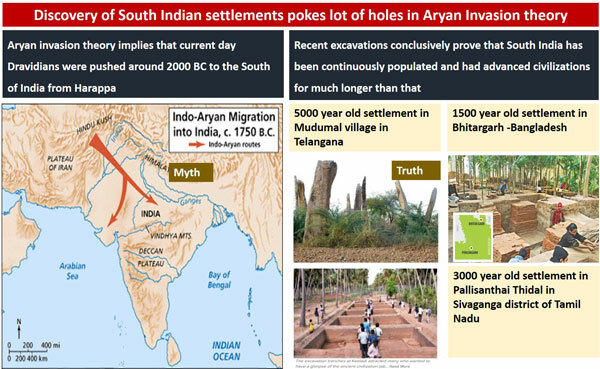 Check out our exhibition that provides further proof that the Aryan Invasion theory is at best extremely debatable and at worst a white lie fabricated by colonial powers and continued by their political descendants. Copyright Factmuseum.com 2016 | All Rights Reserved.